I had the pleasure to go to a spa retreat in the month of March. They served this fantastic dessert at meals, to satisfy that after dining sweet craving. 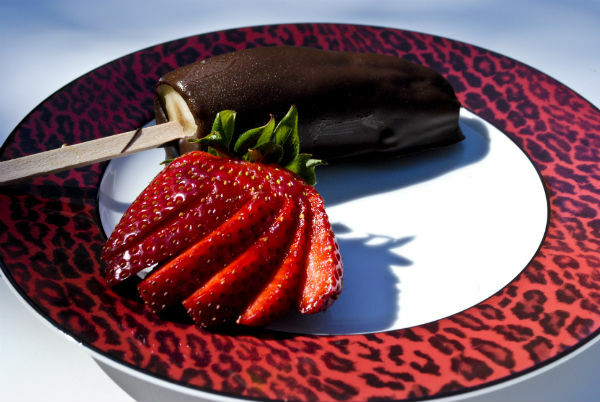 Chocolate covered frozen bananas do the trick without too much guilt or calories. The banana becomes creamy as it defrosts and if you use high quality chocolate the taste is divine. 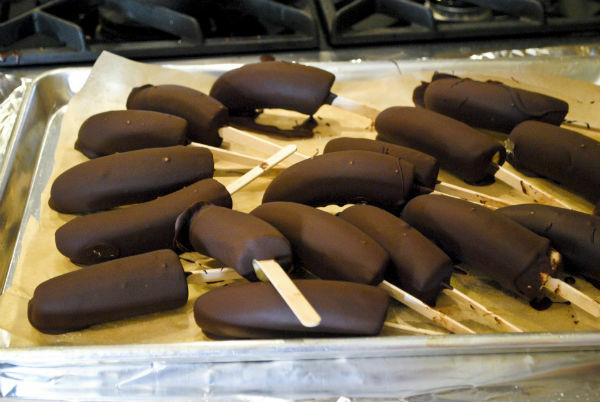 Chocolate covered bananas are easy to make. Wrapped individually they keep in your freezer. 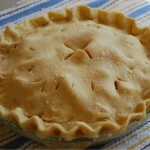 Now with the warmer months upon us a frozen dessert is wonderful. Peel the bananas and slice them in half horizontally. 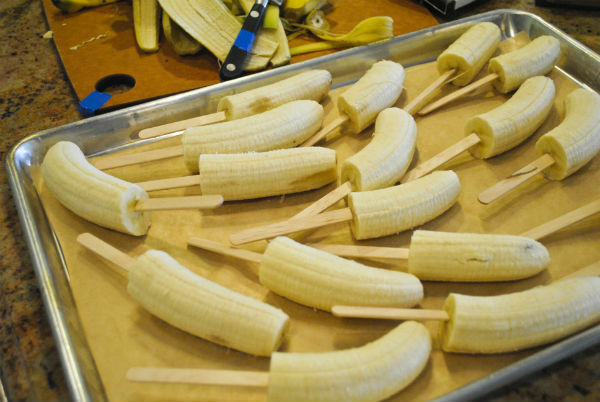 Insert a Popsicle stick in the widest end and place the banana on a parchment lined cookie sheet. Freeze the cookie sheet of bananas. 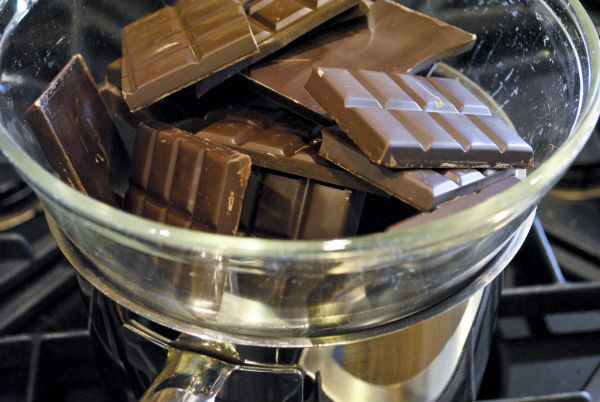 A few hours later, break up the chocolate bars in the top of a double boiler. 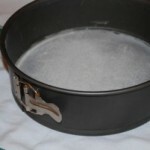 Fill a saucepan with cold water about one inch deep. 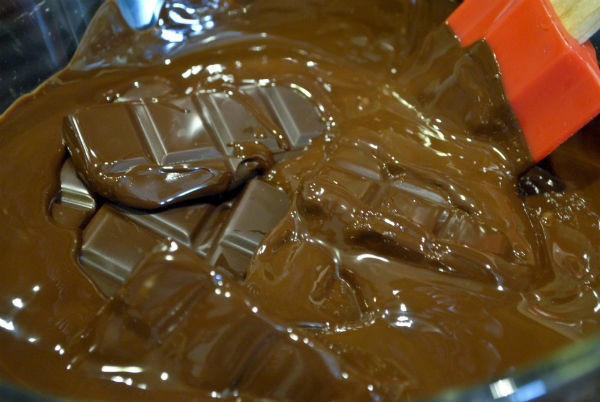 Place the double boiler bowl with the chocolate over the water. Bring the water in the saucepan to a boil and reduce the heat to simmer. The chocolate will melt in the double boiler. Stir the chocolate with a silicone spatula or wooden spoon. 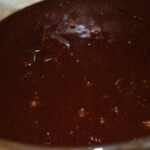 When the chocolate is melted and smooth, pour the chocolate into a 16 ounce drinking glass or 2 cup glass pitcher. Place the glass in the saucepan of hot water. Leave the water on the lowest heat to keep the chocolate melted. Remove the bananas from the freezer. 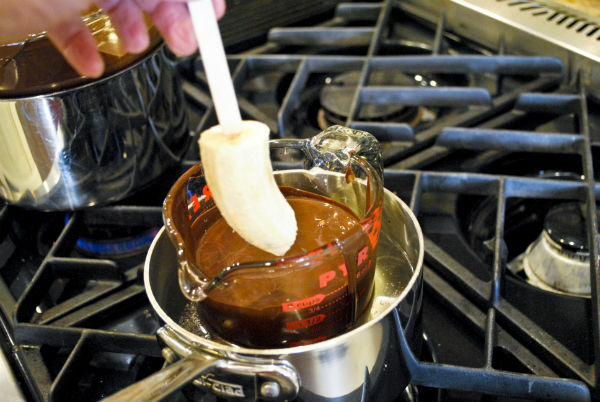 Grasping one banana at a time by the stick, plunge the banana into the glass of melted chocolate, give it a swirl and remove the banana right away. Place the dipped banana on a dry freshly lined cookie sheet. 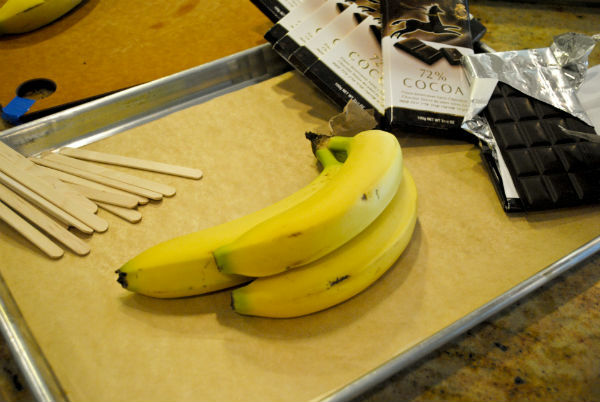 Try to place the banana with just the end touching the parchment paper and the stick balancing the banana. If you hold it in place for a moment the frozen banana will congeal the chocolate rapidly and it will hold in place. Proceed with the other frozen bananas. Place the cookie sheet with the dipped bananas back in the freezer for a bit. 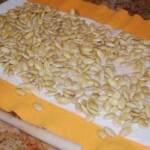 In about an hour, you can remove the bananas, serve them or wrap individually in plastic wrap and store in the freezer. In case you were thinking of using chocolate chips. I tried with two different brands and did not get good results. Fine eating dark chocolate bars work best. Chocolate…bananas…a heavenly combination! Perfect timing is this one, as himself is getting a bit bored with my rice pudding and rhubarb tartlets as after-dinner (semi) lighter sweet treats. As always, the food/prep photos are beautiful and wonderful inspiration/motivation. Thanks for sharing this, Linda. Hi Linda, the photo is gorgeous and these look absolutely mouth watering. I am not a big fan of bananas but would love one of these now.